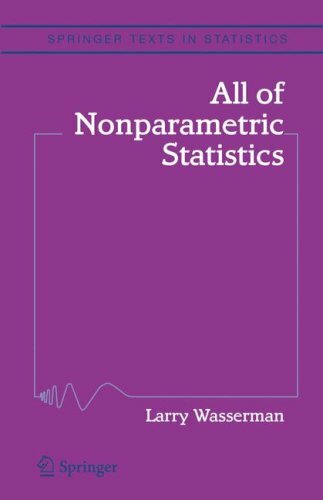 The goal of this text is to provide the reader with a single book where they can find a brief account of many, modern topics in nonparametric inference. The book is aimed at Master's level or Ph.D. level students in statistics, computer science, and engineering. It is also suitable for researchers who want to get up to speed quickly on modern nonparametric methods. This text covers a wide range of topics including: the bootstrap, the nonparametric delta method, nonparametric regression, density estimation, orthogonal function methods, minimax estimation, nonparametric confidence sets, and wavelets. The book has a mixture of methods and theory.